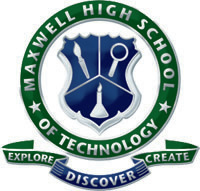 Maxwell High School Counseling Dept. and Plan for Your Future! Come let us help you! The overall goal of the counseling department is to provide services which allow all students to adjust to school expectations in an effective manner, to enhance success in the classroom, and to help students make informed future career and/or college decisions. In fulfilling these goals, the counselors work cooperatively with students as well as parents, teachers, and administrators to plan programs and provide information that will help all students to succeed.